Treatment of coccidiosis in racing pigeons caused by Eimeria spp. 1 spoonful per 2 litres drinking water for 6 days. A magistral prepared water soluble powder with a combination from sulfonamids and amprolium. 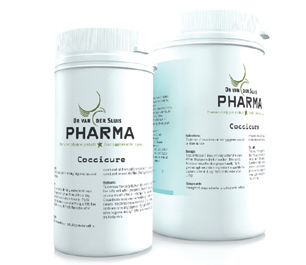 This combination restores the effect against coccidiosis. To remove the oocysts from the coccidien, clean the lofts well after treatment. The test of droppings are needed for the duration of 6 months. Coccidiosis must only be treated in case of moderate or severe infections because coccidiosis is no big problem by racing pigeons. By light infections is extra hygiene enough. After a cure always 2 days multivitamins.